What if we dropped the kids off at my mother in-laws and ran away to Bali? 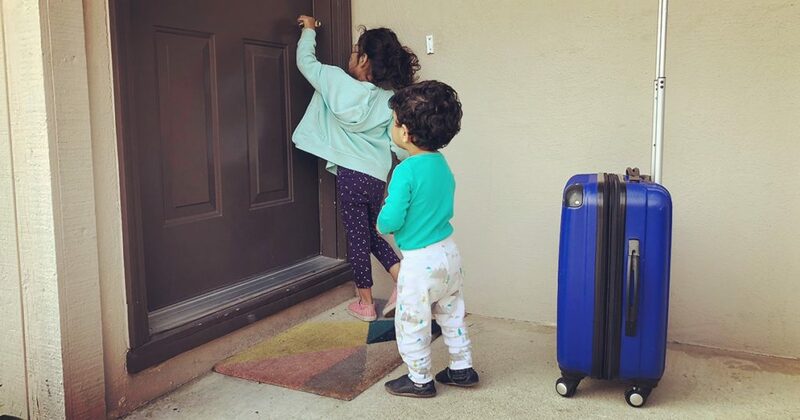 Every Saturday, when my kids wake the house up at 530am, I pitch the following scenario to my wife: what would happen if we rolled up to my Mother in-laws house, unloaded the kids onto her porch, rang the doorbell, and ran away to Bali for a week? How mad would she really be? I mean, she loves her grandchildren unconditionally—probably more than she loves us. We all know this. She’d probably be a little mad, but like, not thaaaat mad. Right? The kids sleepover and grandmas house regularly so we’d just tell them it’s a longer sleepover. Like a surprise camping trip. How fun! We’d totally facetime and check in—we’re not that terrible. We know she’d feed them, take care of them, and they’d be intact upon our return. That sounds like a win in my book. Okay fine, if you don’t want to go far, what if we run away somewhere closer? Like Mexico for the weekend? My father in-law is there too so she wouldn’t be alone in this. And plus, he likes to do activities like painting and gardening so that’d keep them engaged for basically half the time anyway. Hey, that’s a great idea! Make them do yard work and other chores with their tiny hands. Put them to work until they get tired. What I do I care? I’m on a beach. Or I mean, go ahead and turn on Netflix and let them just watch TV all weekend. What do I care? I’m sipping on Coronas. I mean, we’d eventually come back to pick them up. She’s even got car seats in her car! All the logistics are clear. This is a great idea. Bali here we come! Wait, how expensive are tickets to Bali? Jeez louize. Okay, fine. We won’t go to Bali. Can we at least drop the kids off and run away to get coffee at least?? Have any ideas how the wifey and I can run away responsibly on a budget? Comment and let us know. Oh, and be sure to follow the shenanigans on Facebook, Instagram, and Pinterest. You can email me directly to say hello too! balirun awaysleepoverWhat if we dropped the kids off at my mother-in-laws and ran away to Bali? Hilarious! You two deserve a vacation! Do it! !